After weeks of overindulgence, the effects of the holiday season – think too much makeup and even more junk food – have left many of our complexions a little worse for wear and in desperate need of TLC. Read below on how to detox your skin for a fresh, beautiful and clear complexion. 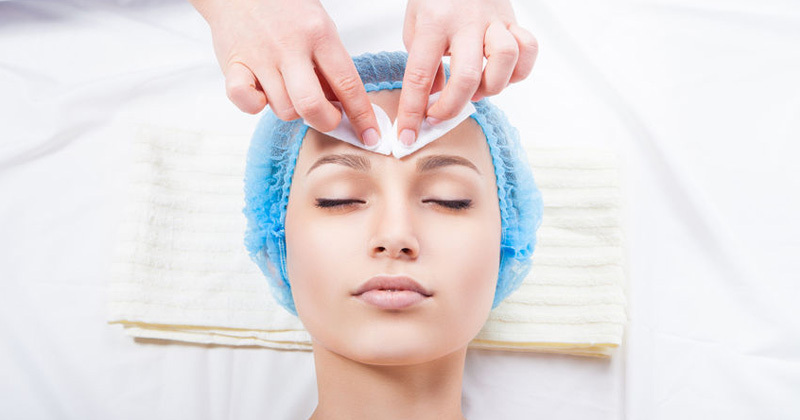 A proper facial can clean out your pores more thoroughly than a normal skincare routine can. Treating yourself to a facial (complete with a face massage!) might be the most relaxing thing you’ve splurged on for yourself in a long time, meaning an amazing de-stressor while your pores get cleaned. Start off your detox the cleanest way possible with a facial. By sleeping in makeup, you are giving your skin the unnecessary chance to retain dirt and makeup in your pores, leading to breakouts. Always begin your nightly skincare routine with a gentle cleanser that effectively removes all traces of makeup like the Perfecting Gel Cleanser by MLA Skincare. This innovative light foaming gel cleanser that leaves the skin exceptionally clean and refreshed without residue or tightness. It delivers calming and soothing benefits, provides gentle exfoliation, promotes skin barrier repair, and gives instant hydration. This gives your skin cells the room they need to breathe and regenerate. When you don’t exfoliate, excess makeup, oil, dirt and grime build up, clog pores, cause acne and a lackluster complexion. Try digging below the skin’s surface and doing some deep cleaning Exquisite Exfoliating and Rejuvenating Pads. They nourish the skin with vitamins, antioxidants, peptides, moisturizers, and botanicals and refresh the skin by increasing cellular turnover. This results in a more even skin tone, improved skin hydration, a reduction in the appearance of fine lines, and a more luminous and radiant complexion. The unique formulation helps the skin look more youthful, refreshed, and rejuvenated. This doesn’t promote oily skin, trust us! Facial oil actually provides your skin with nutrients that it craves. Our skin creates oil naturally, but as we age, that reservoir slowly diminishes. We need to maintain a healthy balance of oil, otherwise our skin will breakout, and fine lines and wrinkles will start appearing. When applying any facial oil, do so on top of your anti-aging product and under any makeup. The Brightening Serum by MLA Skincare combines the newest generation of natural skin brightening and renewing ingredients with the Perfect 9 Complex. As proven in the clinical trial, Brightening Serum is an excellent brown spot reduction serum. Plant extracts Bearberry, Mulberry, and Tyrostat™ are added to Lumiskin™, an antioxidant from Chilean tree bark, to reduce the formation of unwanted pigment and control melanin. Equally important, potentially irritating hydroquinone and AHAs are not used in this unique formula. All that partying this holiday season (i.e., lack of sleep and over-indulgent drinks) takes a toll on your skin’s moisture levels. Add to that the harsh, cold winter weather and your skin can easily dry out, so it’s important to keep it hydrated morning, noon and night. Feed your skin with a luxuriously moisturizing cream that will quench your face’s thirst such as the Elegance Day and Night Repair Cream. This moisturizer helps reverse the adverse effects of environmental exposures on your skin, including exposures to the sun, to air pollution, and to dry air. It has a sophisticated modern formula containing twenty-one active ingredients that were carefully selected to rejuvenate every element of the skin. Sometimes the weather can be deceiving, but just because it is overcast, it does not mean the sun’s rays are taking a break. Try SkinCeuticals Sheer Physical UV Defense SPF 50. This ultra-sheer and transparent sunscreen fluid that offers broad spectrum protection for all skin types, including sensitive. Formulated with 100% physical filters Zinc Oxide and Titanium Dioxide and enhanced with Artemia Salina, Sheer Physical UV Defense SPF 50 is formulated with a plankton extract to help boost skin’s natural defenses to UV- and heat-induced stress, making it one of the best sunscreens for the face. This silky sheer fluid spreads easily and dries quickly, leaving no residue. Now that you have learned how to detox your skin for a fresh start to 2019, it’s time to set up your annual skin care checkup. To book an appointment with Dr. Amarian or Dr. Anterasian please call (310) 829-9396. Give your complexion a much-needed beauty blitz! For a fresh and smooth start of the new year, we give you how to detox your skin in six easy steps.